Peter, who is the team leader on our assembly line, came to us straight from school and has been working with Amcanu for 30 years. He should have a good idea of what we do, because over the years, he’s worked in every department! 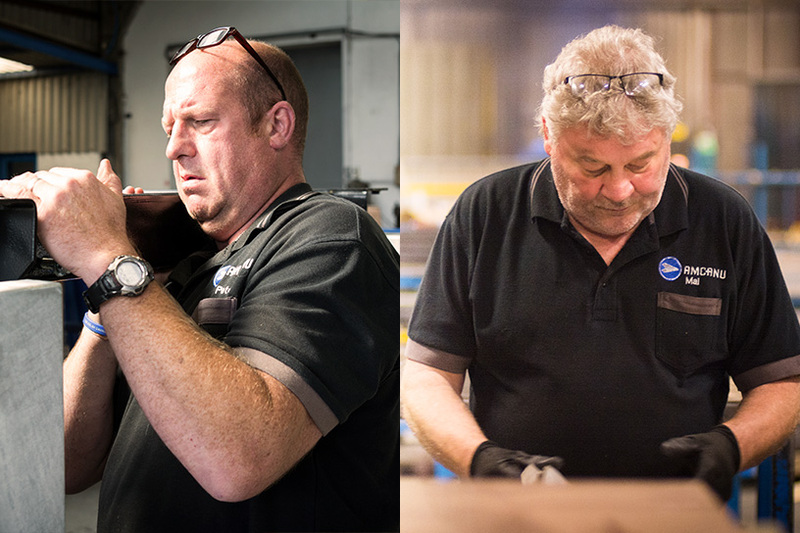 Mal works in our sheet metal department, and has done so for 25 years. He keeps a low profile round the factory but is the first man to offer to organise a social gathering, especially if it involves pool! They’ve both been part of life here for as long as we can remember and we’d like to thank them for sticking with us.